Here’s the new trailer for Child’s Play! Get your first earful of Mark Hamill as the voice of the new Chucky in this Child’s Play trailer! Here’s your first look at the new Chucky (Buddi) from the Child’s Play reboot! Chucky – Child’s Play First Look! Time to Play! Actor Mark Hamill, who voices Chucky in this new movie, shared this official first look at the new Chucky doll! 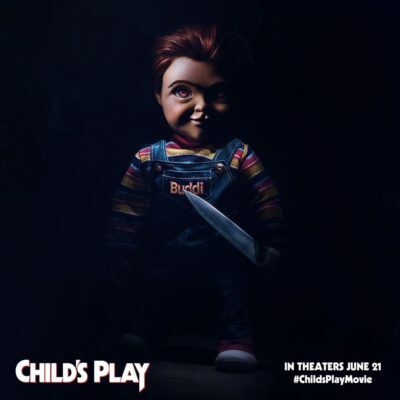 See Chucky in Child’s Play, in theaters 6/21/2019!